A great way to show off! 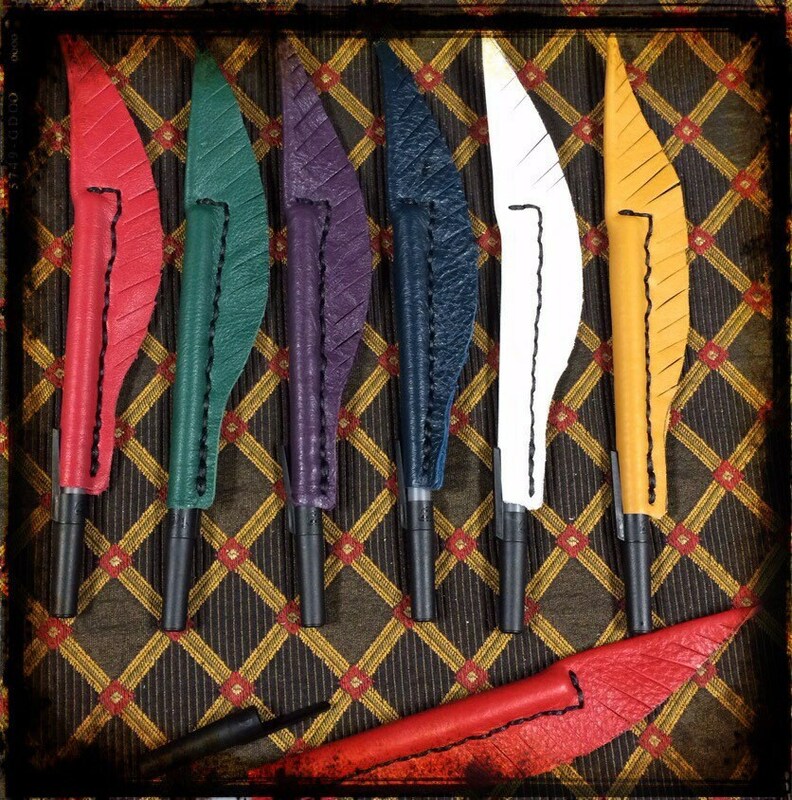 Each of our leather feather owns is hand cut and hand stitched. It comes complete with a Bic pen made from recycled plastic, and is easily refillable with any standard sized Bic pen available just about everywhere. Great for the office, school, or even to take with you.